Fresh YouTrack Energy EAP Build! Issue from e-mail: provide setting for fetch period. Customizable sidebar. Previously, your list of shared tags and saved searches could get overloaded and difficult to use. Now you can choose which tags and saved searches are visible (pinned) in your sidebar by pinning/unpinning items from the list. 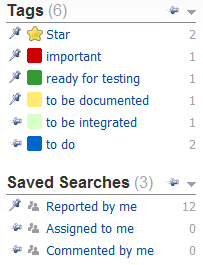 Organize your sidebar to have all the tags and saved searches you need right in front of you! Please note: This feature is still in progress and has been included in the EAP build to get your quick feedback while it’s being implemented. Customizable attributes. State is converted to a customizable attribute, which allows you to specify any bundle of states or simply use the default one. A new custom attribute type version is available. Also, you can now customize the default values for new issues. Convert state to custom field. Customizable defaults for new issues. 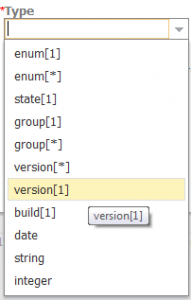 Allow creating a combobox of versions, not only a multibox. Warn admin about license expiration and end of upgrade period. Ability to specify visibility group when creating an issue via REST. ‘Unstar’ should remove star for requested user. New issue html notification should looks like FSI. Collapsible text feature for description and comments. Download and enjoy the fresh YouTrack functionality!